Thinking about buying a new family SUV but not sure which is best for your family’s needs? Well, you’ve probably heard of the Nissan Rogue and the Hyundai Santa Fe, two of the biggest contenders in the midsized-SUV market. And to make things even more interesting, this is one of the most heated markets in the industry, full of big brand names trying to win over Canadian families. Let’s take a closer look at both Nissan and Hyundai’s entries to see which of them is the right one for your family. So there you have it–some of the most important data on both vehicles. The 2017 Hyundai Santa Fe certainly is a powerful vehicle, but that power comes at a cost–over three grand, actually. You can fit more family members and friends into the Nissan Rogue, and with Best-in-Class front seat comfort, you’ll all be especially happy. You’re also getting outstanding fuel efficiency with the Rogue, both in and out of the city. And the IIHS Top Safety Pick+ rating just seals the deal. You can get a feel for the Rogue yourself here at Vernon Nissan where we stock a ton of 2017 Rogues ready for a test drive. 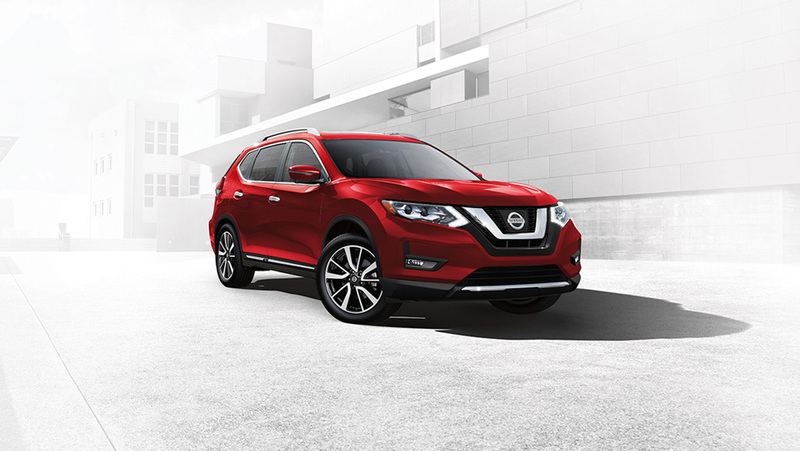 Feel free to contact us to schedule that test drive, or take a look in our New Vehicle Inventory of Nissan Rogues from a variety of model years. We think you’ll appreciate the price, capacity, comfort, efficiency, and safety tech of the vehicle, and after your purchase, you won’t look back.